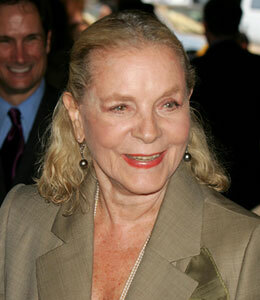 Hollywood legend Lauren Bacall will receive an Honorary Award from the Academy of Motion Picture Arts and Sciences. Producer John Calley, producer/director Roger Corman and cinematographer Gordon Willis will also be honored by the Academy this November. "These four individuals have each, in their own unique way, made lasting impressions on the motion picture industry and audiences worldwide," said Academy President Tom Sherak. "I'm thrilled that the Academy's Board selected them to be honored at our new Governors Awards event, which will be full of memorable moments celebrating their accomplishments." All four awards will be presented at the Academy's inaugural Governors Awards event on Nov. 14.